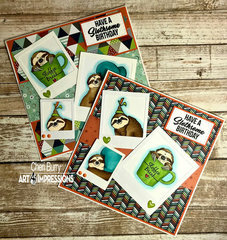 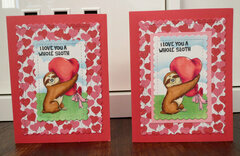 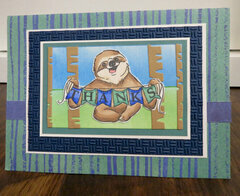 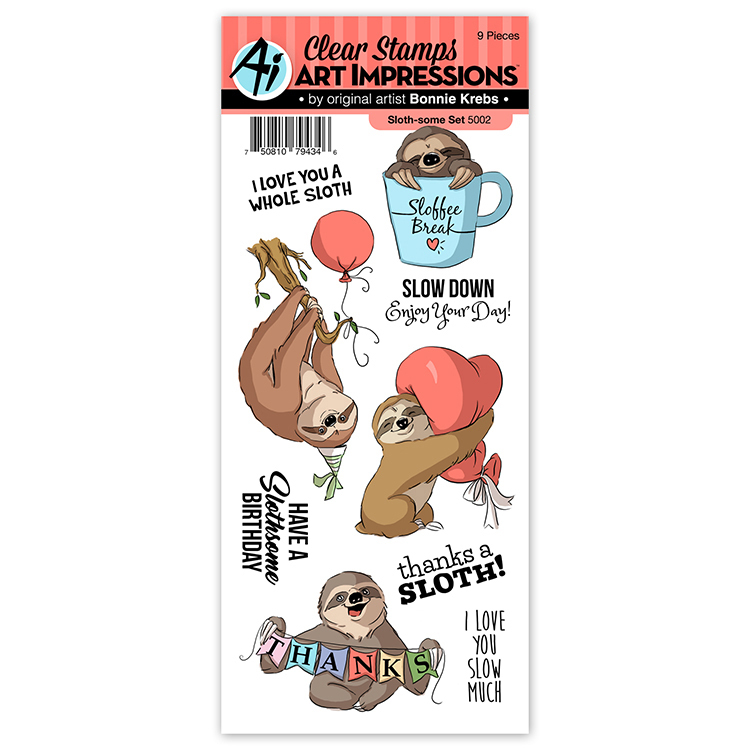 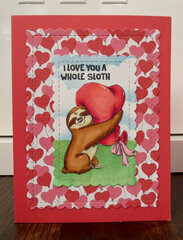 Slow things down and spend some time crafting with the Sloth-some Clear Stamp Set designed by Bonnie Krebs! 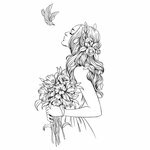 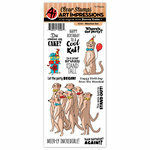 The set includes 9 photopolymer stamps that can be used with an acrylic block sold separately. 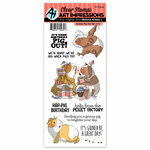 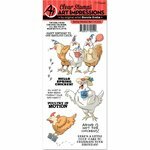 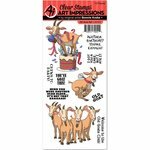 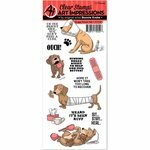 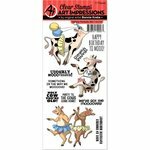 The stamps are part of the Funny Farm Collection by Art Impressions. 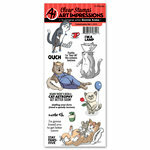 The package measures 4" x 9".